Prospective visitors to Taiwan who’ve done a little advance reading are likely to recognize many of the places featured in this magazine. But, on opening this issue of Travel in Taiwan and seeing an article about a place called Fengshan, they may well ask: Fengshan? Never heard of it, where is it, and why should I go there? Fengshan District is part of Kaohsiung City in southern Taiwan. Thanks to an abundance of flights from international airports in East and Southeast Asia, Kaohsiung is, for an increasing number of visitors, the first stop in Taiwan. Few of these travelers make it out to Fengshan, however, even though getting there is a cinch. Convenient transportation is one reason why Fengshan’s population has swelled in recent years, to a little over 359,000. A large part of Fengshan’s appeal stems from its long, rich history. Fengshan County – established in 1684 by the Manchu Qing court in Beijing, which had just brought Taiwan into the Qing empire – covered much of what is today Kaohsiung City and Pingtung County. After a major uprising in 1786-88 led by commoner Lin Shuang-wen, the county’s center of administration was moved from what’s now called Zuoying District, to just south of the current location of Fengshan Railway Station. The name of the settlement here was changed from Pitou to that of the county; thereafter, the town became one of the most important political centers on the island. For the purpose of this article, we’ll assume that you arrive via the Kaohsiung Mass Rapid Transit service, and begin your Fengshan exploration from Exit 2 of the KMRT Fongshan Station. From there, it takes less than 10 minutes to walk to our first point of interest. Cao Jin was a scholar-bureaucrat born in mainland China’s Henan Province. Assigned to Taiwan by the Qing authorities, Cao took up his post as Fengshan County magistrate in 1837. Realizing the area’s agricultural potential, Cao ordered the digging of a 9km-long canal to carry water westward from the broad waterway now called the Gaoping River, but then known as the Xiadanshui River. By 1840 the main canal had been completed, and work on 44 branch canals was well underway. The network eventually irrigated almost 2,500 hectares of rice fields. The temple contains a doll-sized effigy of Cao to which incense is offered every day. On the 15th day of the 8th month on the lunar calendar, an elaborate ceremony is conducted to celebrate his life and achievements. It’s possible to see a stretch of the canal Cao built, which bears his name, if you walk north to the Fengshan Railway Station. This well-kept section, running east-west off the station’s south side, is a delightful spot to dawdle. Expect to see fish, turtles, and frogs in the water. En route to the canal, detour down Lane 29 of Caogong Road to find a relic of more turbulent times. In the first half of the 19th century, Fengshan gained a defensive wall and gates used to control access to the town center. The former is long gone, but Pingcheng Fort is the best preserved of the six gun emplacements that gave the town’s defenders some serious firepower. Ascend to the top and imagine yourself as a sentry 150 years ago, fighting boredom while scanning the surroundings for suspicious individuals. 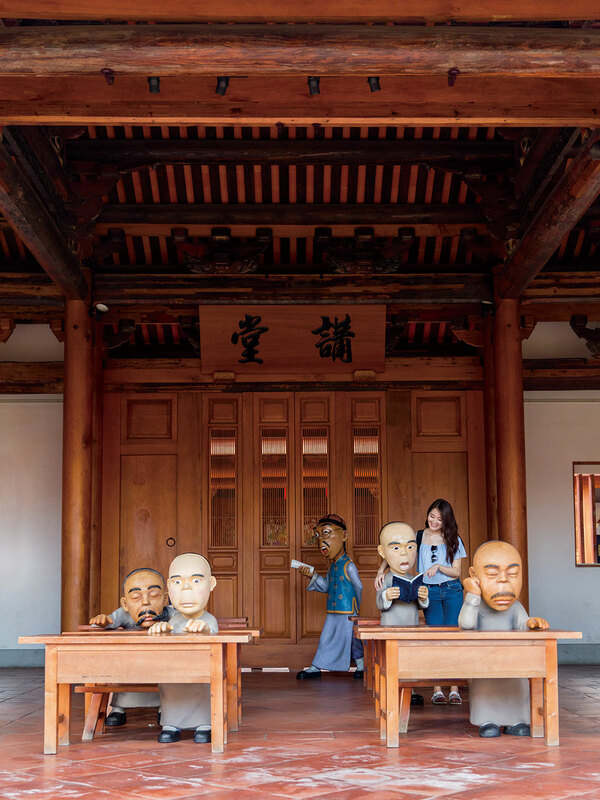 Like the majority of Fengshan’s historical sites, it’s open around the clock and there’s no admission charge. Heading south from Caogong Temple and turning left into Fengming Street brings you to two other points of interest. Fengshan Chenghuang Temple, at No. 66, was founded in the Zuoying area 300 years ago. When the Qing authorities relocated the county offices, the temple’s icons were moved and the temple was reestablished here. The Chinese characters cheng and huang mean “city wall” and “defensive moat.” In combination, they announce that the main deity enshrined in the temple is the city god, an entity who is believed to protect a settlement while also weighing the deeds and misdeeds of each human inhabitant. Almost next door stands Fongyi Academy (open 10:30am to 5:30pm Tuesday to Sunday; admission NT$66). Built in 1814 as a school where young men could study the Chinese classics and prepare for the fearsomely difficult examinations that could lead to a career in the imperial civil service, this elegant 37-room complex has benefited from a thorough renovation. At this point, depending on your time, energy, and interest in military architecture, you may want to trek about 800m southwest to Chenglan Fort on Lizhi Street. This octagonal strongpoint is made of stones cemented in place with a mixture composed of liquified sugar, rice paste, and oyster-shell ash. Alternatively, head southeast to Fengshan Longshan Temple on Zhongshan Road. 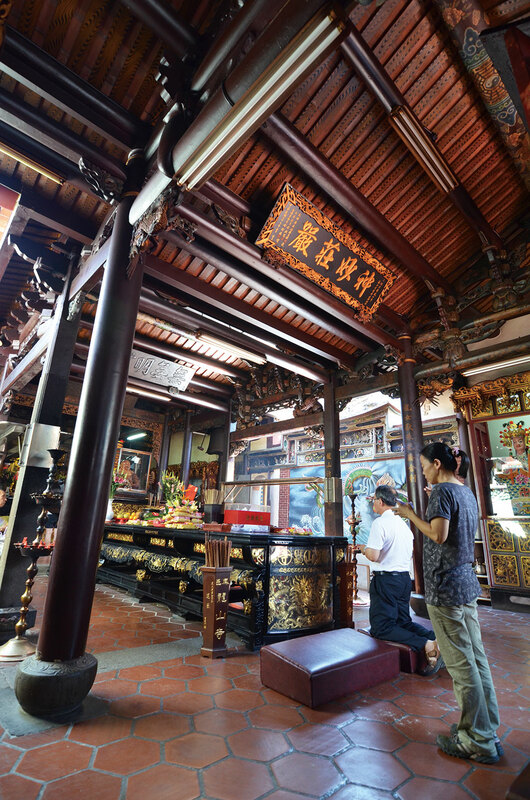 While not as well-known or as large as the Longshan temples in the township of Lugang (Changhua County) and district of Wanhua (Taipei City), this shrine is worth visiting, and not only to admire the delicate carvings and paintings inside. 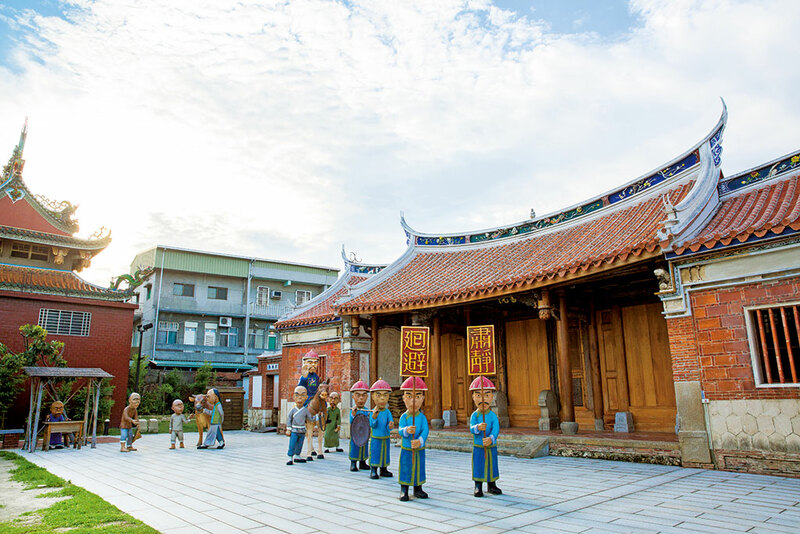 Few tourists come here, so it’s a good place to observe the religious rituals that are still such an intrinsic part of life for many Taiwanese. A short distance east of the temple you’ll come to the Qianzhen River – from which another district of Kaohsiung takes its name – which here flows in a southwesterly direction. Beside the waterway a short distance in the same direction is Xunfeng Fort, which has a timeworn martial complexion that nicely counterpoints the serenity of a neighboring temple and the modernity of a nearby apartment block. Standing even closer to the waterway is what is variously known as Dongbian Gate or Tongyi Gate, located 250m upriver from the fort (you cross Zhongshan Road again on the way). The hefty doors that kept out undesirables in the past were removed long ago, and it is now open 24 hours a day. A road pierces the gate and crosses the river here; it’s possible to ride a bike or a motorcycle through the gate, but the aperture is too narrow for cars. When the gate was constructed, of course, most people traveled on foot and a few pushed wheelbarrows when taking goods to market. But in the Taiwan of yore, nothing larger than an oxcart plied the highways and byways. As befits the most populous district of Taiwan’s “maritime capital,” Fengshan also has a number of important modern public facilities. 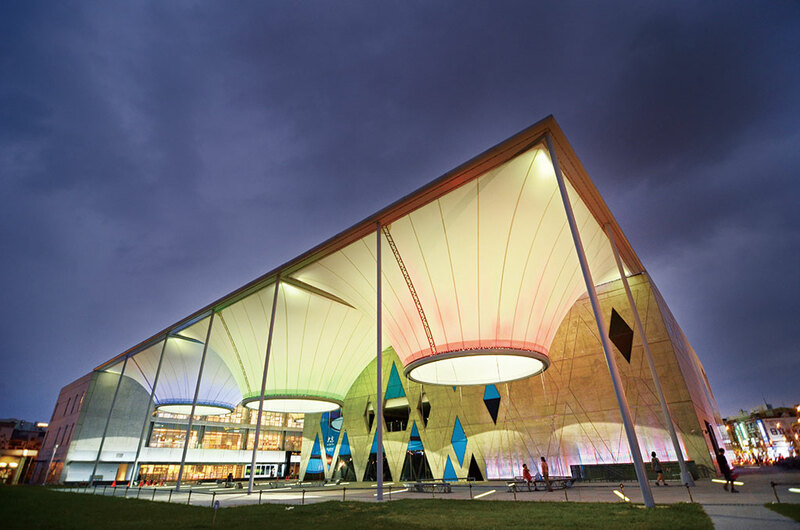 The most stylish of these is the Dadong Arts Center (right outside the KMRT Dadong Station), a multipurpose venue for exhibitions and performances. The center, which has an 880-seat main hall, is the official home of the Kaohsiung City Symphony Orchestra. To find out about upcoming events here (and at other venues throughout Greater Kaohsiung), go online and download the latest issue of Kaohsiung Art Go Go, a bilingual listing that comes out monthly. But if you simply want to appreciate the distinctive architectural design, there’s no need to attend a show. Do what a good number of locals do: Treat it like the public space it is, and wander beneath the membrane roof that resembles a row of upended umbrellas. If your eyes feel like they need a change from the russet of old brick and the gray of weathered stone, cross Guangyuan Road. The forest-like Dadong Park is much larger than you might guess, and even includes a sublime man-made wetland. The proliferation of green space on this side of the metropolis is surely another reason why Fengshan continues to prosper, years after it ceased to be a center of government. If in need of a place to eat in Fengshan, head south to the intersection of Weixin/Wujia 1st and Zhongshan roads. At first glance, Nantai Spring Roll at No. 10, Wujia 1st Road (open 9am to 10:30pm daily) looks like a typical popular roadside vendor, but squeeze through the crowd of takeaway purchasers and you’ll find tables and chairs. As the name suggests, the specialty here is spring rolls, but not the deep-fried variant you may have tried in an Asian restaurant in your home country. Taiwanese spring rolls (traditionally eaten during the annual Qingming or Tomb-Sweeping Festival period) are larger, un-fried, and served cold. Nantai has been in business for more than two decades, and after the first bite you’ll understand why people say they’ve got the art of spring roll-making down pat. The wrap has that delicate “QQ” (slang for “chewiness”) quality that Taiwanese people adore, and the fillings are crisp and fresh. In addition to the usual bean sprouts, shredded cabbage, and slivers of pork, each spring roll here contains sausage sliced lengthways, garlic, brown sauce, and a dash of powdered sugar. Even if, like many other customers, you wash it down with a bowl of pork-rib soup, you’ll get change from an NT$100 bill. Another of the town’s culinary landmarks can be found at No. 2 Weixin Road. Fengshan Old Shop Pan-Fried Stuffed Buns is open 11am to 7pm daily, and the buns are just NT$10 each. If you happen to be in the neighborhood, do buy one or two; add a dash of the house spicy sauce, and enjoy them while they’re hot. This type of food is a little greasy, and carbohydrate-heavy – in other words, ideal fuel for a walking tour. Fengshan Railway Station is well served by both express and local trains. Many of the former travel from Taipei to Fengshan in about five hours (NT$856 one way). The latter are good for getting to/from Kaohsiung Railway Station (it takes about seven minutes and a mere NT$15 one way) and Xinzuoying Railway Station, which is adjacent to the THSR (Taiwan High Speed Rail) Zuoying Station (journey time around 20 minutes; NT$21 one way). Four stations on the Orange Line of the KMRT (Kaohsiung Mass Rapid Transit) system provide access to different parts of Fengshan District. The Tourism Bureau of the Ministry of Transportation and Communications and the National Performing Arts Center sign a first-ever alliance to promote cultural tourism.